Philip Hammond could offer some climate hope in dark times for UK’s approach to tackle climate change. Photo credit: Foreign and Commonwealth Office via Flickr. The UK has, for a long period, been seen as a world leader when it comes to action on climate change and climate policies. But now a web of darkness hangs over the British isles, at first dominated by the impact of Brexit – UK’s move to leave the EU, which the public narrowly voted for. On top of this, Brexit has resulted in a change of leadership at the UK government, with Theresa May having been installed as the UK’s new Prime Minister replacing David Cameron. At best the future of UK’s role in tackling climate change is now unknown. The UK’s Department of Energy and Climate Change (DECC) will be abolished, with energy and climate policy moving into the reshaped business department: Business, Energy and Industrial Strategy. Climate change is not deemed important enough to warrant a mention and looks to have been downgraded. Instead of energy policies being guided by climate change, they will now be guided by industry. We should all be very concerned about that. This is singlehandedly the most worrying impact and confirms the worries about leaving the EU I had personally previously voiced; that outside the union our energy policies and our commitment to tackling climate change will fundamentally change as we don’t have to adhere to EU standards for reducing emissions and how much of our energy should be produced by renewables. Unfortunately, this now sends out a signal that the UK government does not prioritise action on climate change. On top of this, the UK’s new Foreign Secretary Boris Johnson, one of the main leave campaigners, has alongside insulting many of the countries he now has to deal and upheld diplomatic ties with, also flirted with climate change denialism. This is miles away from the previous Conservative Foreign Secretary William Hague and most recently Philip Hammond, who underlined the connection with foreign policy and tackling climate change. A line that is also pursued by the US Secretary of State John Kerry. But it is precisely Hammond, who’s been appointed to Chancellor who could offer a silver lining of hope. I have previously been very critical of the now former Chancellor George Osborne, who during his six years in the role failed to make a coherent case for taking action on climate change and promoting renewables. Osborne famously said in relation to cutting emissions: “we’re not going to save the world by putting our country out of business.”. But on this issue, Hammond’s rhetoric is somehow different and refreshing. During a Foreign Office visit in the US last year, he said: “if reducing emissions really was a choice between economic growth on the one hand or lower greenhouse gas emissions on the other, then I would be cautious. But I shall argue that it is not. And in doing so, the first thing I need to stress is that the cost of doing nothing is not … nothing. Nearly a decade ago, the then UK government commissioned a review by one of our leading economists, Nicholas Stern, to ask what the cost of doing nothing might be. That Review estimated it could be equivalent to losing 20% of global consumption. 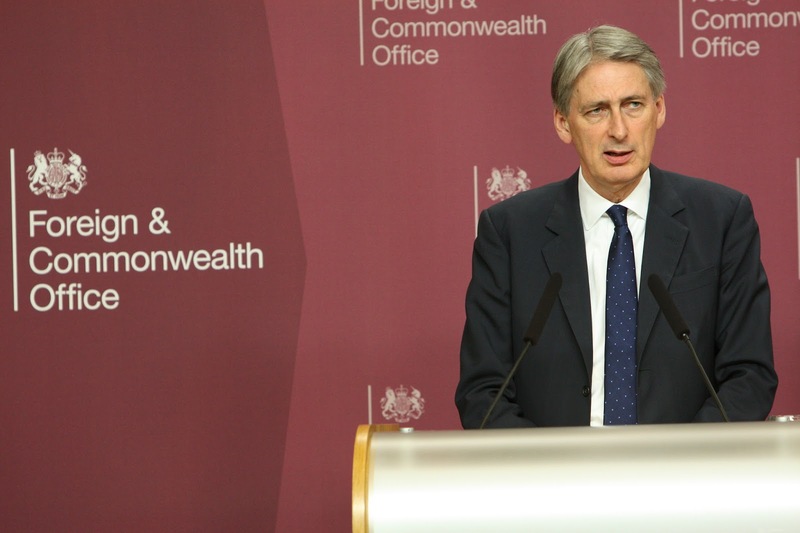 Hammond was also keen to highlight the importance of the UK green economy and the opportunity it brings: “the growth in the low carbon sector of the UK economy is now outpacing the growth rate of the economy as a whole. In the UK, firms engaged in low carbon goods and services employed over 460,000 people and contributed 45 billion pounds to the UK economy in 2013. This is an increase of almost 30% in just 3 years.” And he passionately made the business case for UK’s offshore wind sector: “the UK leads the world in offshore wind energy: we have installed more capacity than any other country in the world, and this is increasingly creating jobs as firms export their products and services”. In just one speech Hammond spoke more positively for action on climate change and the promotion of renewables than Osborne had done in six years. In this web of darkness and uncertainty, one could hope that the conservative case for tackling climate change and investing in the green economy could now materialise. This has been my argument the whole time the Conservatives have been a power, and I know that many green conservatives want this to happen. It is now up to Hammond to grab that golden chance. A rapid implementation of the Paris Agreement on climate change agreed in Paris last year could be a good place to start.